Waterfront - A boaterÃ¢â‚¬â„¢s paradise describes this spectacular salt water canal home featuring three bedrooms, two baths and 70 ft wide bulk-headed lot with a dock and easy access to the Intracoastal Waterway. This concrete block, turnkey home has been completely updated and has an open floor plan that is great for entertaining. A covered entry leads to a welcoming foyer and spacious family room with ceramic wood look tile floors, new interior paint and new plantation shutters. The gourmet kitchen features new stainless appliances, granite countertops, tiled backsplash, ceramic tile floors, and overlooks a sunlit dining area with direct access to the screened lanai. The master suite offers panoramic water views, coffered ceilings, direct access to paver patio and a beautiful master bath with new granite countertops, new ceramic tile floors and a spacious walk in shower. 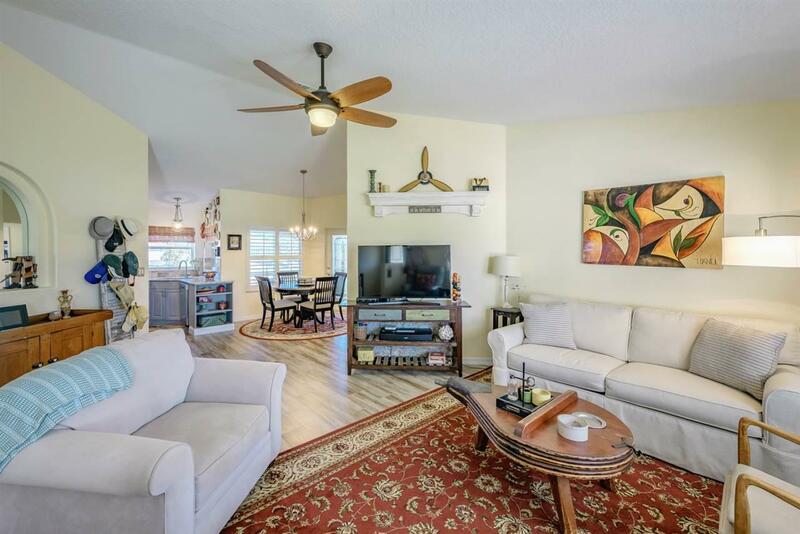 This versatile home is further enhanced by two additional bedrooms, a conveniently located guest bath, inside laundry room and an attached two car garage. 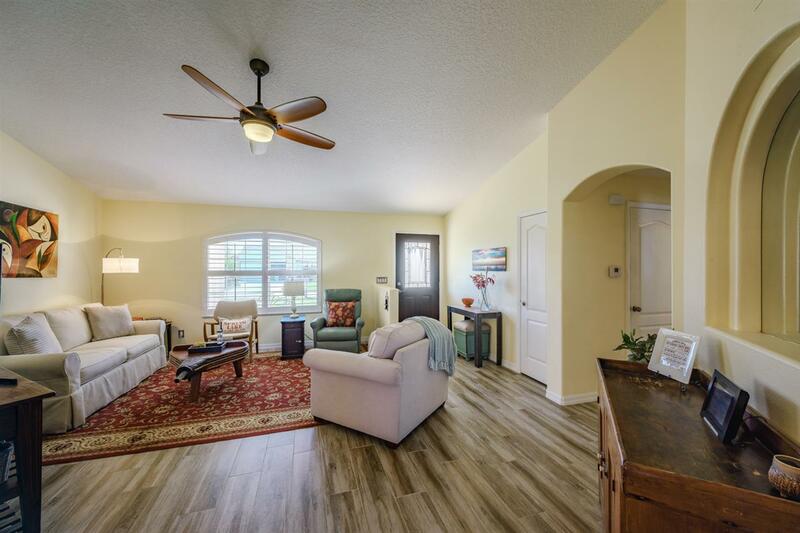 Additional interior upgrades include new wood plank tile floors throughout, new carpet in bedrooms, new interior paint, plantation shutters, mitered glass lanai door, French doors, upgraded light fixtures, ceiling fans, large windows throughout, and recessed lights. 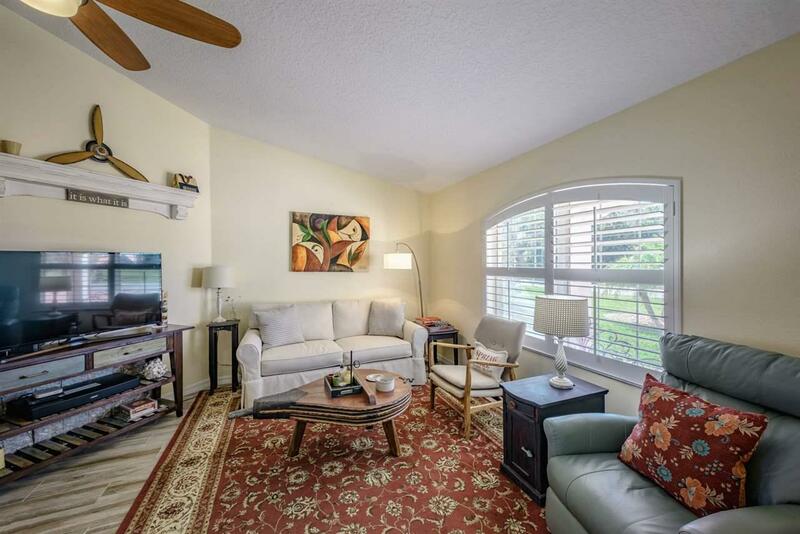 Enjoy relaxing on your screened lanai with panoramic canal views. Spacious backyard also has large paver patio, paver walk way and plenty of room for a pool. Additional exterior upgrades include new roof (2016), new water heater (2018), new paver driveway, patio and walkway (2017), new exterior paint (2015), and a new irrigation system. 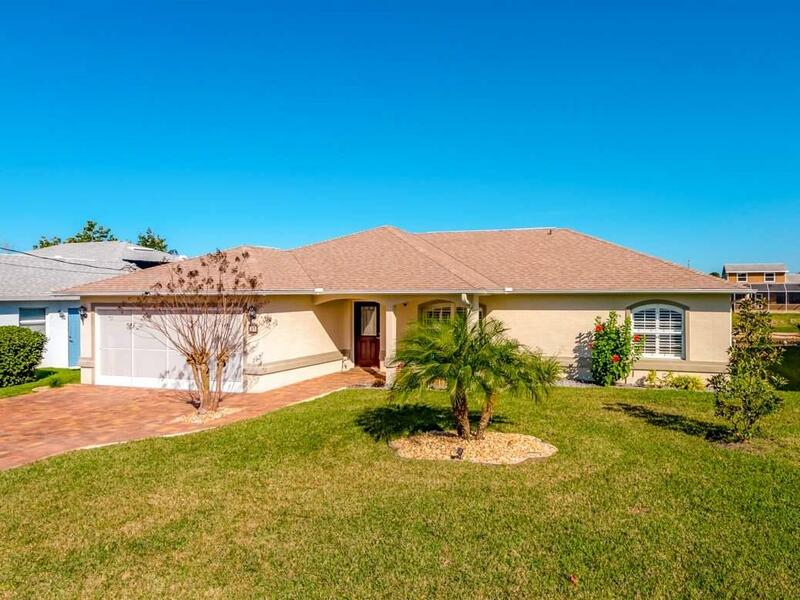 Palm Harbor is conveniently located to dining, shopping, walking and biking trails, and miles of sandy beaches. No HOA fees.